Budgeting, Procurement, Inventory Management, Internal and External Audits, travel management, office administration maintenance, dealing with external contractors and suppliers. Trained to deal with fast paced work environment. Good communication, interpersonal and customer service skills. Skilled to express ideas clearly, Capacity to meet deadlines and likes to be assigned challenging job. Managing the team, Orient, coachs staff, provide support and monitor performance of the staff obtained feedback from other staff in terms of our services to improve the quality and timely delivery. Positive, motivated and hard-working person who is keen to understand company needs and contribute. I have excellent communication skills that allow me to work effectively and positively with staff and customer service skills. 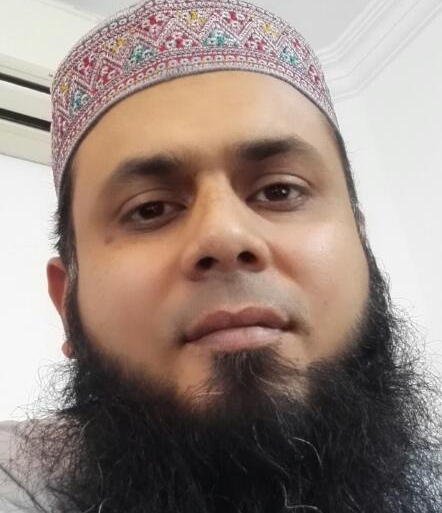 	Responsible for repair/maintainance of all organizations assets in country office and field offices. 	Coordinate and facilitate in admin related matters of all AAPk offices such as acquiring/disposal/transfer of assets, procurement, inventory management, vendor management. 	Timely Security clearance of field staff from the partners and other local Govt offices. 	Logistical Security assessment for the programme activities and hotel assessment. 	Fulfill administrative needs of the country office in a timely and cost effective manner. 	Arrange logistics support for Country office staff and expatriates by ensuring that quality services are provided by vendor/hotels/guest houses to the organization on economical rates for programme/ project activities. 	Provide administrative support to regional, project staff and coordinate with finance unit for payment processing. 	Orient, coach’s staff, provide support and monitor performance of the support staff; obtained feedback from other staff in terms of our services to improve the quality and timely delivery. 	Hold a monthly meeting with staff to set the task, targets for monthly work plan. 	Prepare Individual annually, six monthly and monthly plan. 	Provide support to support staff in preparation of official records: Overtime, leave, Roster duty allocations. 	Coordinate with finance and administration staff at Regional Offices. 	Supporting the inter-connected Area Offices and Regional Offices on IT issues in all over the Pakistan. 	Implementation of policies to clients for data security and safeguarding of network. 	Ensure minimum disruption to the site servers and client environment as a result of any technical issue. 	Identification of equipment for Procurement (IT related) for assessing the need for upgrading procuring.  Responsible for insurance of all organization assets like equipment, furniture, fixtures on annual basis and process the claim on damage, theft of the equipment. 	Acting as a Service Desk Support Analyst to increases end-user productivity. 	Introduce and Train the Staff on the system of current IT environment including software and filing system. 	Responsible for providing IT systems and records for IT Audits. 	Indexing & data transformation on MS SQL Servers. 	Identification of equipment’s for Procurement (IT related) for assessing the need for upgrading procuring. 	Responsible for assets inventory for technical assessment and internal functions. 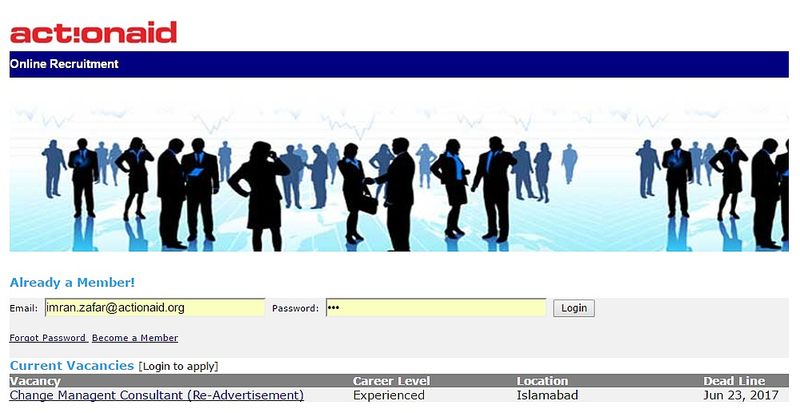 	Established, Administration and Designing of Microsoft Windows 2000 domain-based network for Islamabad Marriott Hotel. 	Exchange 5.5 Mail Server. 	Routing and Remote Access. 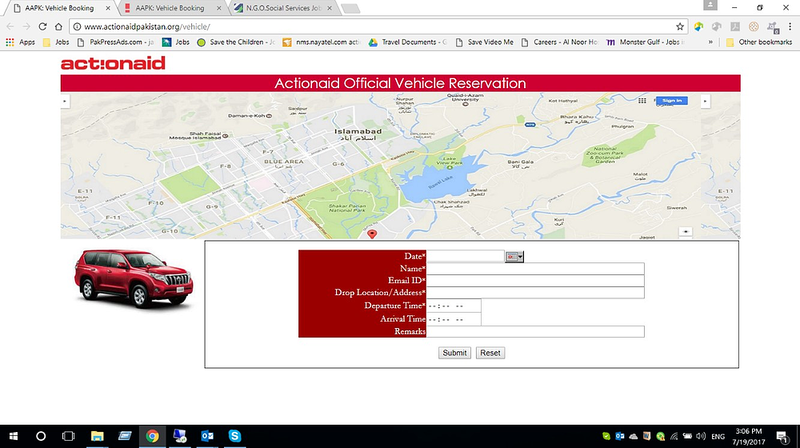 Online Official Vehicle Reservation System allows staff to book their vehicle for their official meetings , attending workshop. it also allow to book the vehicle in advance dates. Admin staff will be notify about the new request generated by the system then they assign the driver and vehicle to the requested staff.